Don't pull the covers over your head, let's face it together! How many people out there are struggling to pay their monthly mortgage payment, possibly even a few payments behind? You have no idea what to do or where to turn. The first step is to put your pride and lack of knowledge behind you and ask a reputable person for help. There will come a time when you can’t pretend it’s not happening because more time in denial only makes it worse. Some couples even hide it from their spouse to avoid the argument and it escalates after they find out the truth. Believe me; you will sleep better at night if you deal with it now to avoid the consequences. This situation DOES NOT DEFINE YOU (per Dr. Phil and he knows everything)! Perhaps you over bought, had a job change, new baby, illness, infidelity, divorce, college expenses, or you just plain overspent on other things and cannot make ends meet. Whatever the situation, you can turn this boat around if you get help early. I’m known in the office as the Short Sale go-to person. At times I think I’m the only dummy who is willing to work on a transaction for months and argue with the big banks with zero common sense. A short sale can be triple the time consumption and triple the frustration than a regular transaction, but it can be rewarding if you are committed to doing what is needed. I have helped several extremely good people with a short sale and they always call or write back to thank me. Some have purchased homes again, some are renting until they can get back on their feet, but the common denominator is they feel relieved and happy. I could write pages about this topic, but I’ll save it for when we meet in person. 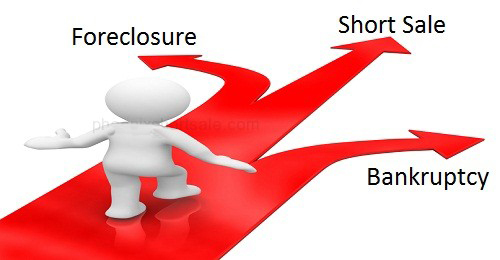 Before you call me though, please know that a short sale is not for everyone. I can only help those who have not washed their hands of the situation and are willing to do 25% of the work by filling out the necessary documents and provide the necessary financial documentation. In return, I will do the remaining 75% of the work for dealing with the bank, and marketing your home to attract a buyer. So, if you or someone you know is struggling, it’s time to roll up our sleeves and get to work in order to help you avoid foreclosure, and hopefully have a happier 2016!